What happens when a classically trained artist and photographer gets an itch for something different? She seeks out a new medium. Or at least that’s what happened in the case of Aidah Fontenot, a 26-year-old artist turned fashion designer based on Capitol Hill. 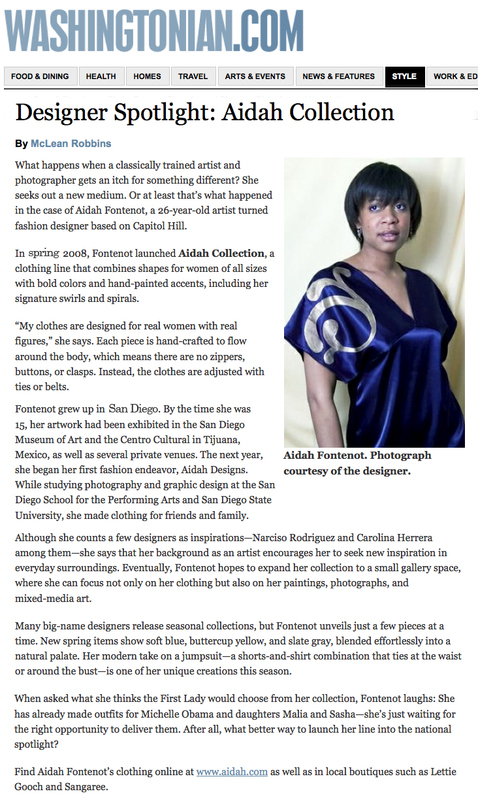 In fall 2008, Fontenot launched Aidah Collection, a clothing line that combines shapes for women of all sizes with bold colors and hand-painted accents, including her signature swirls and spirals. “My clothes are designed for real women with real figures,” she says. Each piece is hand-crafted to flow around the body, which means there are no zippers, buttons, or clasps. Instead, the clothes are adjusted with ties or belts. Fontenot grew up in [San Diego]. By the time she was 15, her artwork had been exhibited in the San Diego Museum of Art and the Centro Cultural in Tijuana, Mexico, as well as several private venues. 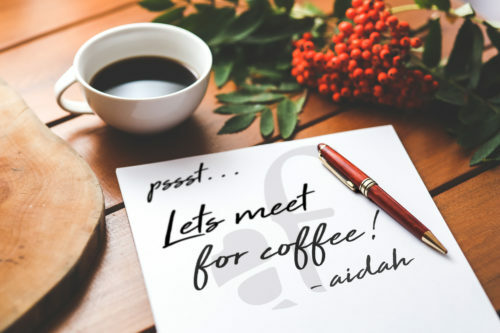 The next year, she began her first fashion endeavor, Aidah Designs. While studying photography and graphic design at the San Diego School for the Performing Arts and San Diego State University, she made clothing for friends and family. Although she counts a few designers as inspirations—Narciso Rodriguez and Carolina Herrera among them—she says that her background as an artist encourages her to seek new inspiration in everyday surroundings. Eventually, Fontenot hopes to expand her collection to a small gallery space, where she can focus not only on her clothing but also on her paintings, photographs, and mixed-media art. Many big-name designers release seasonal collections, but Fontenot unveils just a few pieces at a time. New spring items show soft blue, buttercup yellow, and slate gray, blended effortlessly into a natural palate. Her modern take on a jumpsuit—a shorts-and-shirt combination that ties at the waist or around the bust—is one of her unique creations this season. When asked what she thinks the First Lady would choose from her collection, Fontenot laughs: She has already made outfits for Michelle Obama and daughters Malia and Sasha—she’s just waiting for the right opportunity to deliver them. After all, what better way to launch her line into the national spotlight?